Nearly 20 years after her son’s death, Katharine pays an unexpected visit to the New York apartment of his former partner, who is now married to another man and has a young child. Confronted with the life her son might have led, Katharine is challenged to face the powerful ways in which society has changed around her and to accept an ever-evolving definition of family. Haunting Mothers and Sons asks, how long do we mourn before moving on? 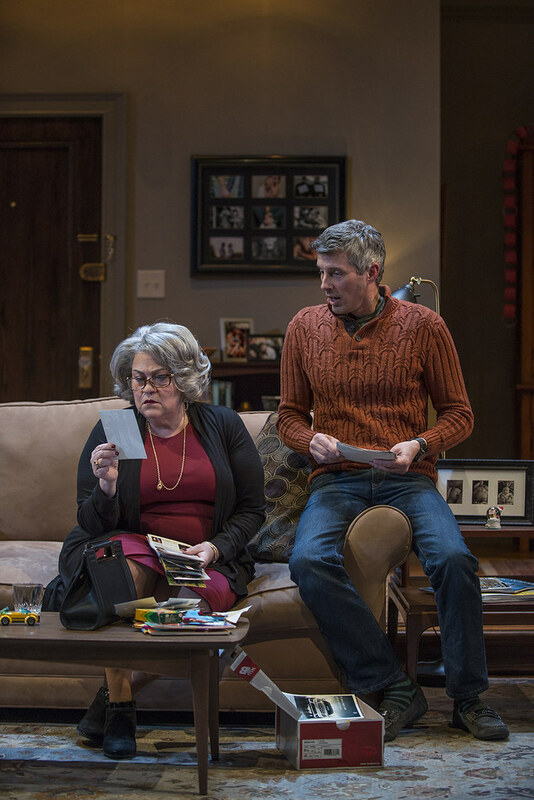 I thought this an important play when I first saw it on Broadway in 2014 (it starred Tyne Daly), in part because I remember seeing a couple of mothers like Katherine at funerals, in part because it reminds us what some (hardly all) family members did to those who died of AIDS, but mostly because it offers a chance to think about guilt, mourning and moving on, while we’re in the hands of one of America’s most compassionate and yet unstinting playwrights. At one point, Cal, who is played with great sincerity by Parker, wonders aloud whether moving on to a new partner means he did not love Katherine’s son enough. 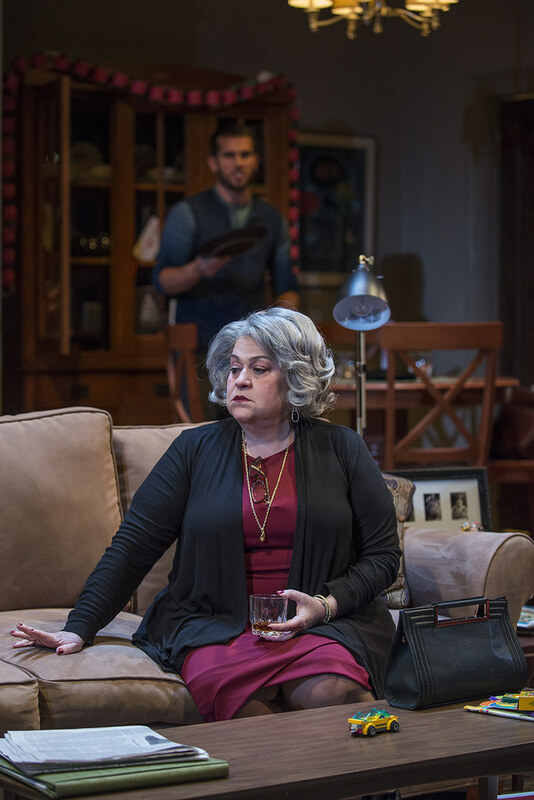 It’s a common worry of the widowed, although the play is, I think, arguing that he has no choice, given how time moves so inexorably forward, leaving some of us behind. Parker also nails the sheer horror of your past walking right through your front door, dredging up all that complexity. Gold’s performance is an exceptionally sincere and honest piece of acting that moved me greatly in some moments. And Sprunger, playing that new man in Cal’s life, has just the right lack of compassion for that which he was just young enough to miss. You’ll sense I’m fond of this emotional play, and you would be right. It is honest, fair and moving, and entirely applicable to any number of other circumstances in which we find ourselves. 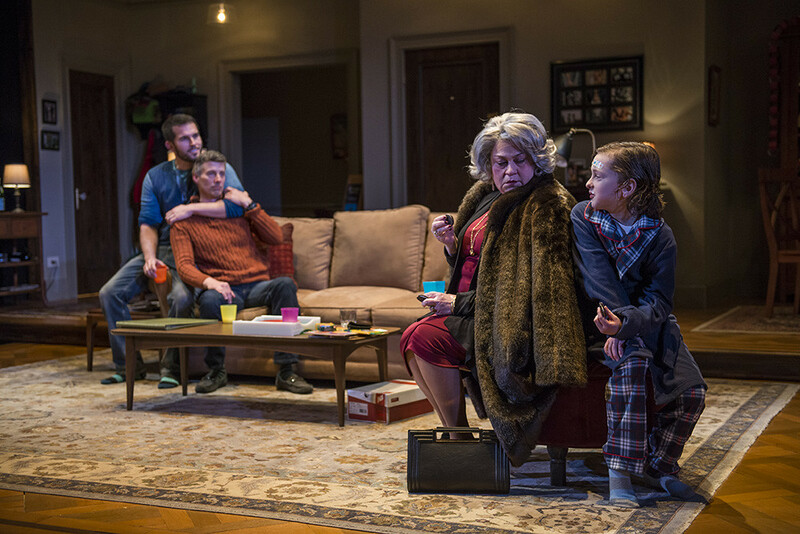 Terrence McNally again considers the AIDS crisis from the perspective of those left behind. 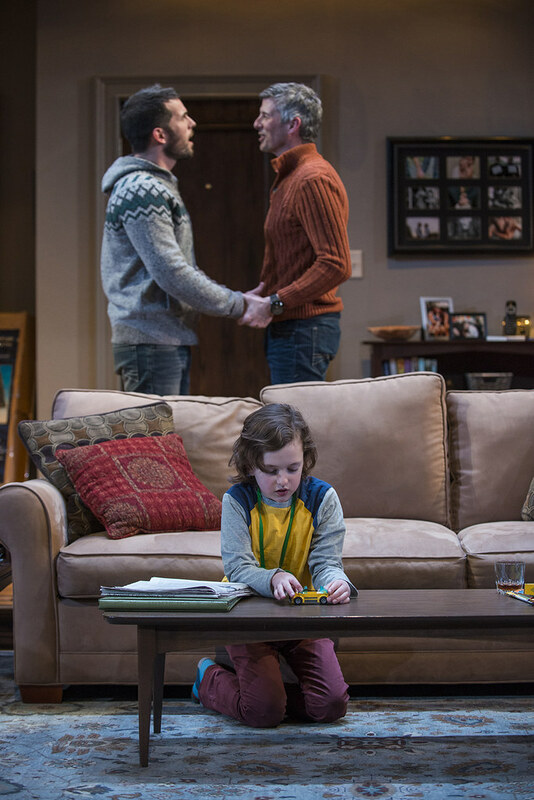 McNally has often been at his best as a chronicler of current gay life (or a certain white, upper-middle-class or at least aspirational strain of it, anyway) in plays like Love! Valour! Compassion!. Revisiting the characters of Andre’s Mother (which he expanded into an Emmy-winning episode of PBS’s American Playhouse in 1990) allows him the opportunity to incisively comment on those aspects of the present moment—marriage equality, gay parenting, HIV as a manageable disease—that no one was even considering as possibilities 20 years ago. But it also allows him to give some room for dignity, even in opposition, to the still unenlightened. Gold’s Katharine is neither sympathetic nor particularly repentant for her rejection of her son’s relationship and reality. But McNally, for the most part, resists encouraging us to jeer her, and Gold’s nuanced performance lets us see hints of the isolation and loneliness beneath Katharine’s standoffish demeanor. In Steve Scott’s sensitive, heartfelt production, we even start to root for her to come around. Northlight has assembled a formidable team to live this story. 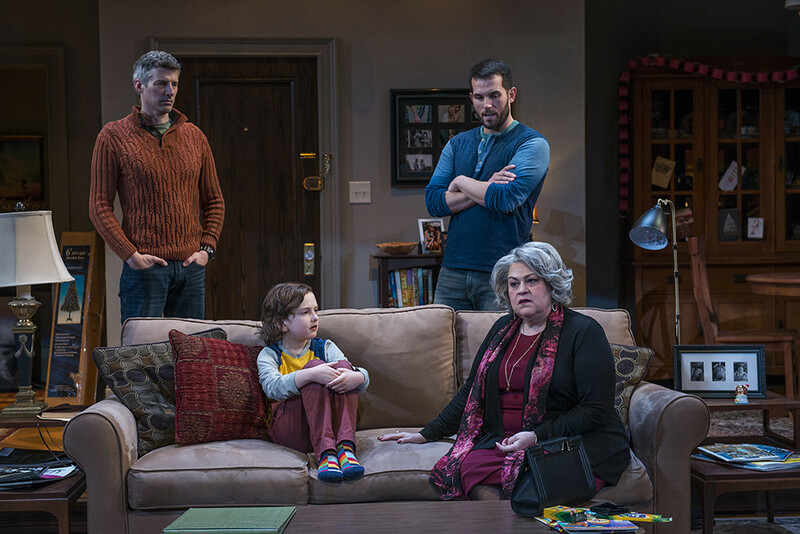 Director Steve Scott guides actors Cindy Gold (Katharine), Jeff Parker (Cal), Benjamin Sprunger (his husband Will) and Ben Miller (their young son, Bud) through McNally’s beautifully crafted play. The anxiety ratchets up before being expertly released through humor or another diversion only to begin the climb to the next dramatic peak, each mountain of hurt taller than the next until the unforgiving apex. This production left me gasping as I fell headlong into Gold’s needful, vacuum-sealed fury, Parker’s self-deluded graciousness, Sprunger’s disconnected entitlement and Miller’s open-hearted acceptance, doctoring the world with an Oreo cookie and milk. McNally is right to teach history. History keeps repeating. Cal is right to shout down Katharine’s “Children don’t fix anything!” with “This one does!” Be brave enough to see this play. Terrence McNally, the author of such celebrated works of drama as Love! Valour! Compassion!, Master Class and Frankie and Johnny in the Clair de Lune, and the bookwriter of such musicals as Ragtime, The Full Monty and Kiss of the Spider Woman, is talking about mothers and sons. McNally is speaking about a particular moment in American history — the AIDS crisis, at its peak around a quarter of a century ago. At the time, there were many mothers (and fathers) angry with their gay children and alienated from them. The separation was often manifest at the funerals of sons who never reached middle age. Anyone who was around at the time, and who went to too many of them, can recall glimpses of parents sitting awkwardly in the pews, unsure about how to process their grief, unable to join in the celebration of their son’s life. That is assuming the parents were there at the funeral. Grieving has no timeline. 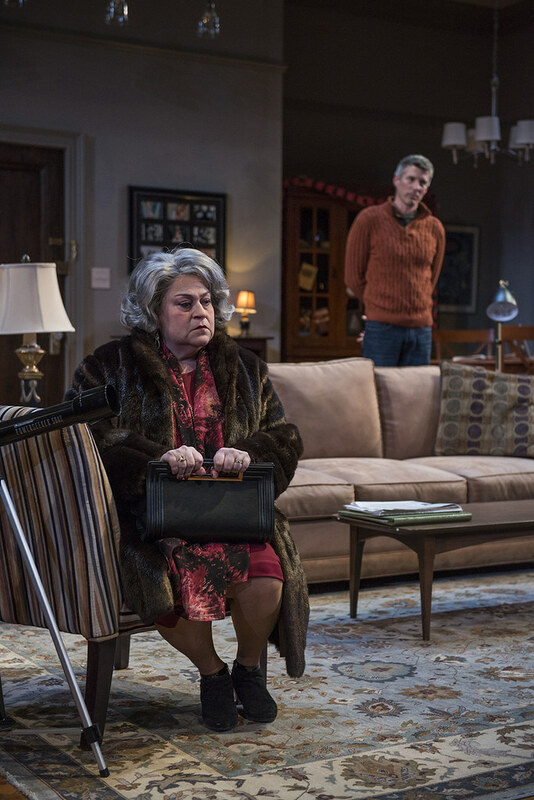 Katharine Gerard’s son Andre may have died of AIDS nearly 20 years ago but her wounds are still raw in Terrence McNally’s intriguing Mothers and Sons opening in previews Jan. 22 at Northlight Theatre. Skokie resident Cindy Gold plays Katharine, who has come from her home in Texas to New York to visit Cal Porter (Jeff Parker), her late son’s lover. Why has she come to see Cal, even though they have had no contact since Andre’s funeral? What does she hope to achieve by the visit? It’s a bit of a mystery, even to Katharine. Homophobia rears its ugly head in Mothers and Sons, which is a sequel of sorts to McNally’s 1990 PBS drama Andre’s Mother. The earlier Emmy Award-winning TV movie focused on a Texas mother named Katharine whose son has passed away from complications of AIDS. Katharine attends a memorial service for her son in New York, and confronts Andre’s surviving lover, Cal, in the process. 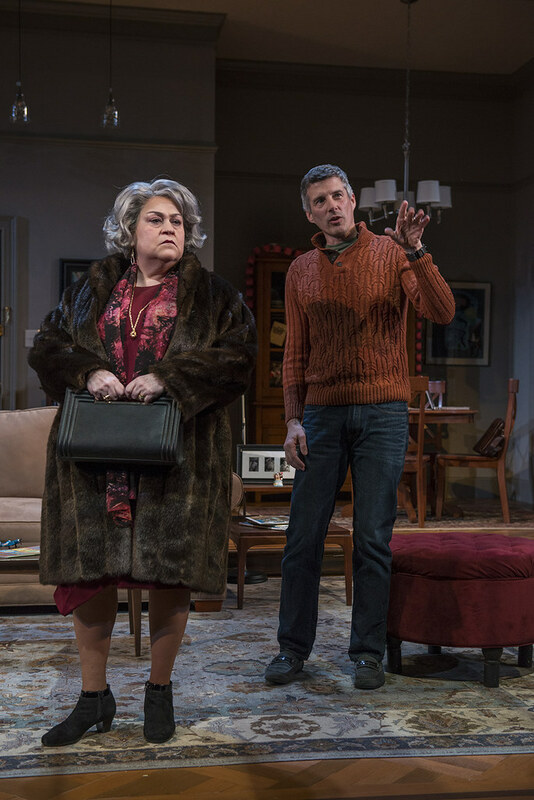 For Mothers and Sons, Katharine (Cindy Gold) and Cal (Jeff Parker) meet again more than two decades later in his upscale New York apartment. Yet now Katharine must also contend with Cal’s family that includes his younger husband, Will Ogden (Benjamin Sprunger), and their son, Bud (Ben Miller). 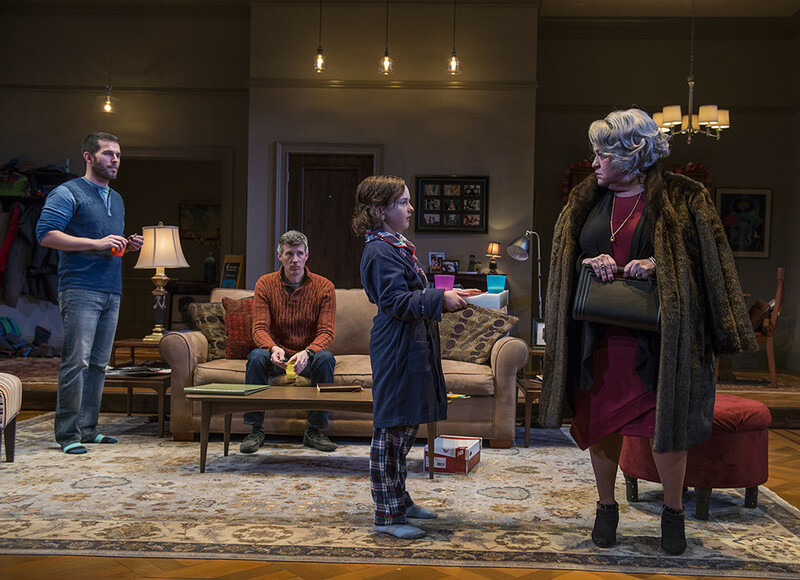 CRITIC’S PICK – The regional premiere of a work by playwright Terrence McNally (Master Class, Kiss of the Spider Woman) is always reason for anticipation. With director Steve Scott at the helm, doubly so. Scott takes on the story of a mother who lost a son to AIDS and meets up with her son’s former partner years afterward. Cindy is thrilled to be back at Northlight after Awake and Sing!, Pride and Prejudice and Dr. Jekyll and Mr. Hyde. 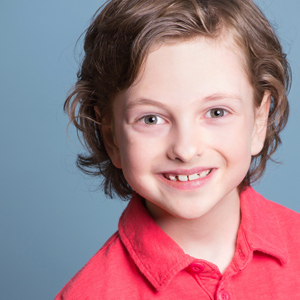 Recent area work includes A Kid Like Jake (About Face), In the Garden (Lookingglass) and Measure for Measure (Goodman). 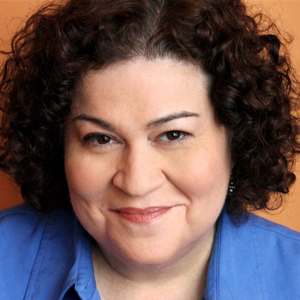 She played Gertrude Stein in Loving Repeating (Joseph Jefferson Award – Best Actress in a Musical). Other credits: Showboat (Lyric Opera, Chicago and Washington, D.C. National Opera at the Kennedy Center), Love, Loss and What I Wore (Broadway in Chicago) and Moises Kaufman’s 33 Variations workshop (About Face and Tectonic Theatre). Cindy appeared in The Music Man (Glimmerglass Opera Company) both in New York and at the Royal Opera House in Muscat, Oman. TV appearances include Empire and Chicago Fire. She is a Professor of Acting at Northwestern University Department of Theatre. Ben is excited to make his Northlight debut in Mothers and Sons. 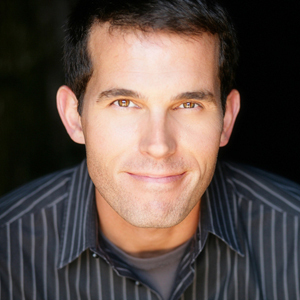 You may have seen Ben in area productions of Oliver!, Tarzan, Seussical, Once Upon a Mattress or Peter Pan. He has also appeared in several commercials and films. Ben trains at The Performer’s School in Highwood. He is currently in fourth grade and he loves to read books, make videos and play “spies” outside with his friends. Benjamin is thrilled to be making his Northlight debut with Mothers and Sons. Other theatre credits include: About Face (seven productions including Take Me Out, The Homosexuals and The Pride), 16th Street, Goodman, TimeLine, House, Sankofa, LiveWire, Steppenwolf, Strawdog, Griffin (2011 Jeff nomination, Actor in a Principal Role – Musical), Steep, Haven, CityLit, Bailiwick, Mark Taper Forum and Pasadena Playhouse. Television credits: Chicago Fire,Will & Grace and Passions. 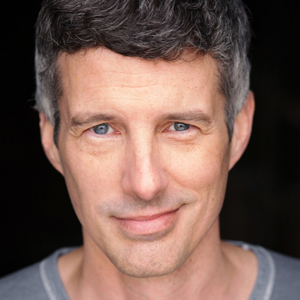 Steve returns for his third production at Northlight, having directed Souvenir and Black Pearl Sings!. He is the Producer at Goodman, where he has overseen over 200 productions, and is also a member of Goodman’s Artistic Collective. He has directed productions at a wide variety of Chicago theaters, including Goodman, Shattered Globe, Silk Road, Next, Porchlight, Red Orchid, Theatre Wit, Theatre at the Center, Organic Touchstone, Lifeline, Lyric Opera Center for American Artists, Redtwist and Eclipse, where he is a company member. He is on the faculty at the Theatre Conservatory at the College of Performing Arts of Roosevelt University and has served on panels for the National Endowment for the Arts, the Illinois Arts Council, Chicago’s Department of Cultural Affairs and the Philadelphia Theatre Initiative/PEW Charitable Trust. He is an artistic associate of the Collaboraction and Chicago Dramatists companies and serves on the board of Season of Concern. Mr. Scott has received six Jeff nominations, an After Dark Award, Eclipse Theatre’s Corona Award and the Award of Honor from the Illinois Theatre Association. Rachel is delighted be working at Northlight for the first time. Her Chicago design credits include:Twist Your Dickens (Second City/Goodman); Life of Galileo, Travesties and Northanger Abbey (Jeff nominations – Remy Bumppo);The Lisbon Traviata, A Perfect Ganesh, Intimate Apparel (Jeff Nomination), Woman in Mind, Bedroom Farce, Ah, Wilderness! andAfter the Fall (Eclipse); The Winter’s Tale, Love, Loss and What I Wore, Cymbeline, Merchant of Venice and Romeo & Juliet (Jeff nomination – First Folio); The Magic Flute and Die Fledermaus (DePaul School of Music); The Drowning Girls (Signal Ensemble);American Myth (American Blues). Regionally she has designed The Mystery of Irma Vep and Lend Me a Tenor with Peninsula Players.